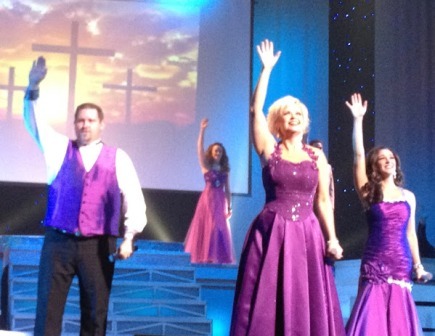 Christian drama in the Smokies tells the story of Jesus! Sharing Christ is important in the Great Smoky Mountains. Our desire here at Smoky Mountain Heartsong.com is to encourage you to know Him and feel his presence as you vacation here. 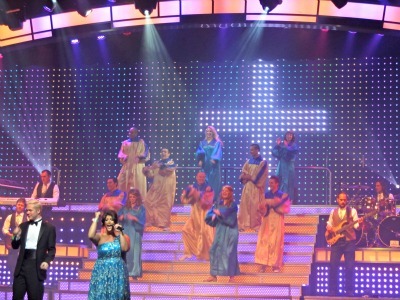 Several area theaters perform gospel music during their live shows particularly around the Christmas season. These Protestant-based attractions are geared specifically toward encouraging you spiritually while providing wholesome family entertainment. 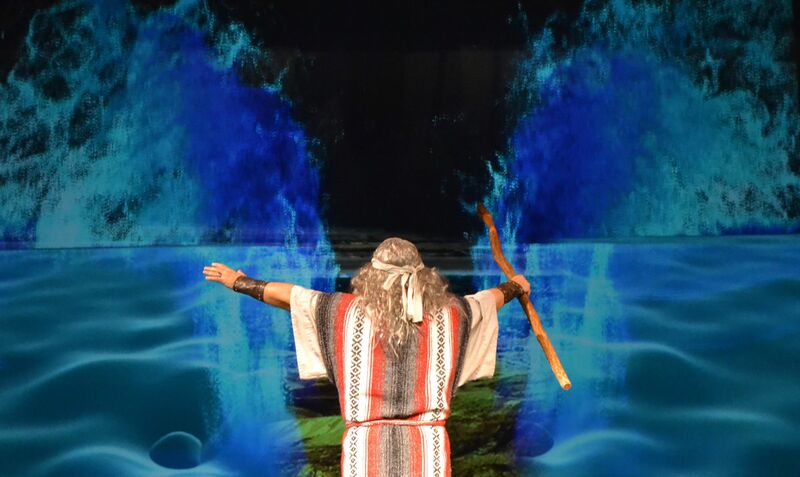 The Biblical Times Theater is a magnificent dinner theater filled with several christian dramas portraying beautiful stories from the Bible! " 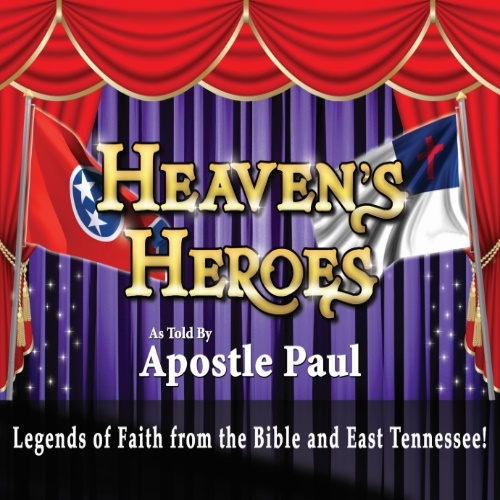 During the first half, the award winning cast sings southern gospel, hymns, and worship songs. There's an excellent seven-course meal as the second half begins! See live actors, awesome video, and the use of holograph technology! PARROT MOUNTAIN AND GARDENS is a lovely place to surround yourself! This spiritual park has a life like walk-through nativity that tells the story of Jesus beginning with the time of His birth to His resurrection. On a bench in the gardens surrounded by flowers (certain times of the year) is the perfect place to spend time of God. Parrot Mountain and Gardens are filled with colorful real-live parrots who love to visit with people. Not only will they sing and talk, but they sit upon your shoulder while you feed them. It's a time to spend with God's beautiful creatures. A visit at Parrot Mountain and Gardens is a perfect way to spend the day. CHRIST IN THE SMOKIES is a museum has been a favorite in Gatlinburg for years! It used to be known as Christus Gardens. Christ In the Smokies is a great place to visit any time of the year. Bible stories come alive as you walk through one exhibit after another. 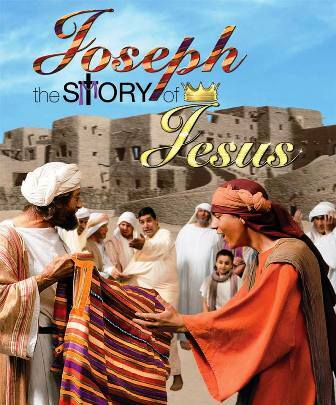 Learn interesting facts, and see replicas of well-known Bible characters. Enjoy the beautiful gardens complete with a statue of Christ that sits outside this exciting Christian attraction. You. and your family will have a wonderful time visiting Christ In The Smokies. Special groups are welcome! the great smoky mountains area is filled with amazing christian drama! COUNTRY TONITE has repeatedly been voted one of the best country music shows in Pigeon Forge! Along with it comes christian drama through gospel music. This segment is a beautiful time of praise and worship. It's a time to celebrate Jesus and glorify His name! You'll hear some of the latest gospel tunes along with those familiar hymns of old. During the Christmas season, Country Tonight offers an excellent nativity segment during their Christmas show. This #1 show in the Smokies has lots of family-filled fun featuring amazing talent and wonderful comedy skits year around. Smoky Mountain Opry Theater is home to some of the most exciting, and energetic drama in the Smokies! It's a great show from beginning to end, however, their gospel segment is excellent! It's a part of the show filled with beautiful gospel music and praise for our Savior. Everyone gets into the spirit with hand-clapping, and toe-tapping. Lovely voices echo praise and worship tunes throughout the auditorium. This segment is also high energy and features singers in robes, electric guitars, drums, colorful lighting, hand-clapping and more! Smoky Mountain Opry does an dramatic nativity during the Christmas season that brings the story of the birth of Christ alive with animals! Angels really fly! It's christian drama at its best and one you can't afford to miss! Word Alive Christian Drama Ministries has more information on christian-based attractions and how to become more involved in this ministerial art.